Daily Schedule Template: 14 FREE Beautiful Daily Planners! Ever wished I’d share a free daily schedule template? Today is your lucky day! 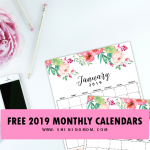 I am sharing away two sets of free daily planner 2019 printables that you can print for FREE right away. And mind you, these planners are more than just beautiful… they’re brilliant! They will help you manage your time so you can run your every day blissfully! Without further ado, I’m beyond thrilled to present to you The 2019 Daily Planner by Shining Mom! Well, how do like the design and layout of this new printable daily planner? I hope you’re loving it as much as I do! If I may share, one of the things that brings so much joy in my heart is when I am able to create an organizer that I feel my readers will enjoy. And I am really happy with this free daily schedule template, I must say. 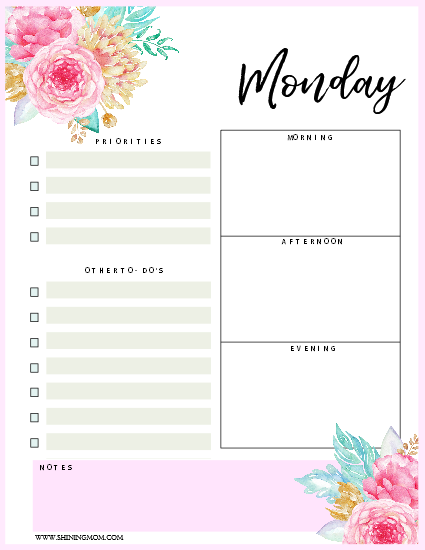 I am confident that this printable daily planner can immensely help you manage your day so you can run the world with such grace and productivity. Ready to make it work with me? 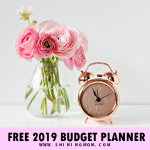 I have a clear vision in creating this planner: For every woman out there holding this planner not to feel stressed and overwhelmed with her daily to-do’s because she’s totally in control of her day! So friends, let me ask you these: Ever felt so tired at the end of the day but not necessarily productive? Ever wished your day is some couple of hours more than 24 because you always run out of time to do all things needed? I know how it feels. You feel like you have maxed out your time but you still need more time hence you feel so, so stressed. Here’s a little tip from me: Plan your day ahead. Yup, planning can change how you run your day. It will help you feel more organized, in control and productive. It will make you feel like you have more time to enjoy life! 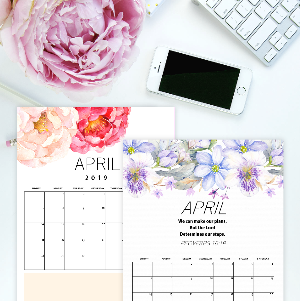 Take a look at this beautiful free daily planner 2019! 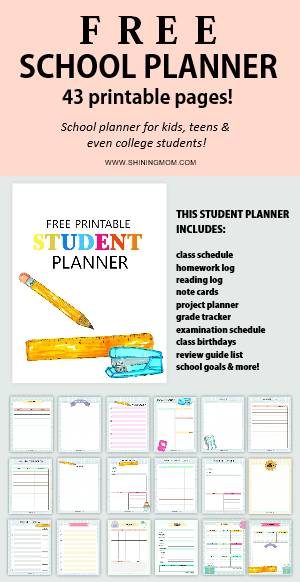 If you’ve been following Shining Mom Planners, you surely know by now that I am an advocate of basic planning sheets. I hate planners that has so much in them, that instead of helping you organize your life, they complicate it all the more. So for the layout of this free daily schedule template, I made sure to just include the necessary categories you need that will help you manage your day- no frills. Each page only has the following important categories for a daily planner: Priorities, Morning, Afternoon and Evening Planner, Other To-Do’s and finally, the Notes Box. See? It only covers 6 planning categories that you can use to plan out a great and productive day! Manage your day by breaking down the things that need to be accomplished in the morning, afternoon and evening to reduce the overwhelm. This way, you can go though the day without that feeling of not having enough time to do things. Write or draw your activities in the morning, afternoon and evening using the allotted boxes. Plan out your meal for the day. Write down the tasks you need to conquer that day. Commend yourself at the Notes box for a beautifully managed day! All these and so much more. 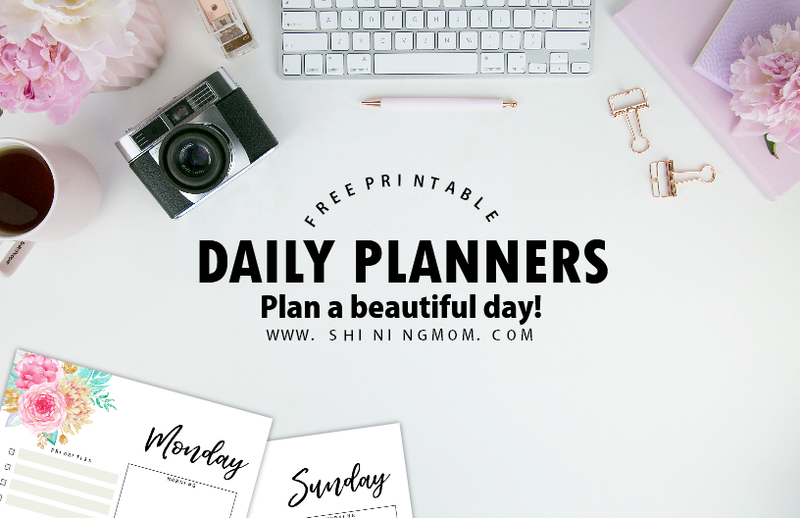 Yup, there are a lot of brilliant things that you can do with this simple free printable daily planner 2019 set! Make daily planning a habit. Find a system that you’re comfortable with. The layout of this planner is so versatile, I believe you can make it work for you. Once you get that hang of daily planning, results will be invaluable! View the planner preview again below. This time, think about how it can help you run a day that is productive, organized and blissful! Do you think this daily schedule template can help you ease stress and enjoy life more? If so, I guess you are ready to snag your copy. Decide Which Daily Schedule Template to Use: Pink or Blue? Options. Yup, I am you giving options. 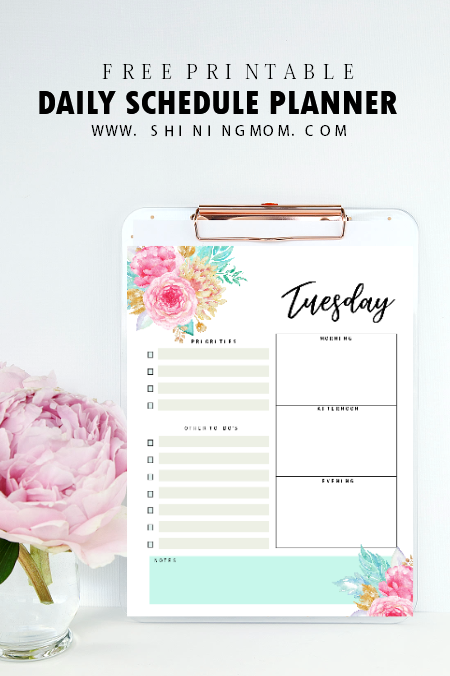 Do your want your free printable daily planner to be in pink or blue? Pick the color that you will love to use. Your free daily schedule template printables are not just functional. They’re oh-so-pretty as well! 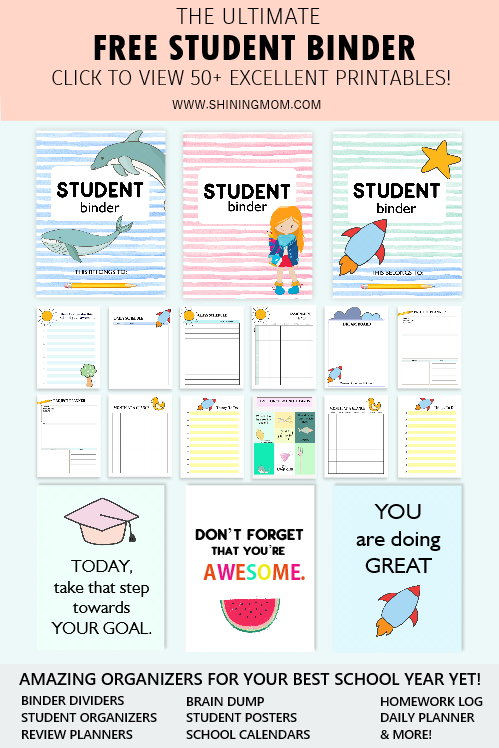 Did I already say you will have a total of 14 printable pages in your download? You’ll be getting a planning template for all the days of the week— from Sunday till Saturday! What can be better than that? 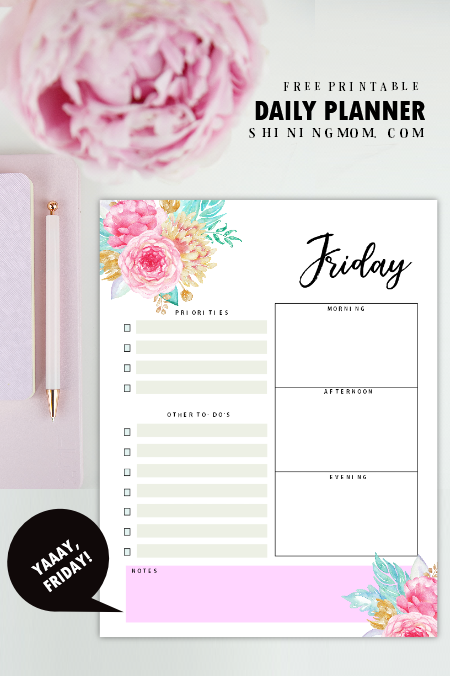 Ready to plan your day using the daily planner featured in this post? The freebie is exclusive to Shining Mom subscribers. 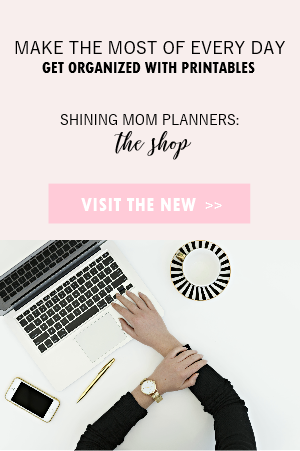 To finally get your hands into this gorgeous daily planner, simply go HERE to join our mailing list and I will send your planner to your inbox right away. And, should you also like a weekly planner, I have also shared a set last week! 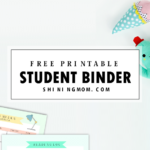 To get you all set for the week, be sure to also snag my free weekly planners. 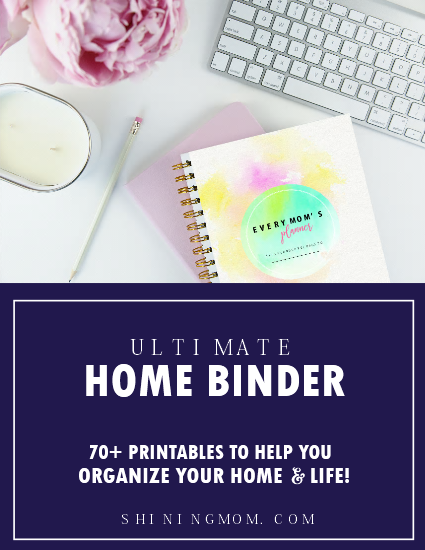 For complete organizers, you might also want to check out the latest product released on the blog: The Back to Basics Binder which practically covers all the basic planning organizers you need! 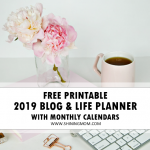 Pin this Free Daily Planner 2019! Loving the free daily planners but have no time to print them yet? Save this post for later by pinning it on Pinterest! 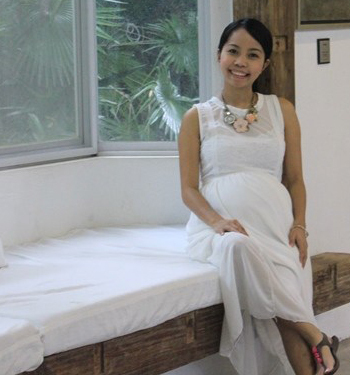 Your pin will also help me grow the blog readership. Let’s spread happiness! Oh, one last thing! 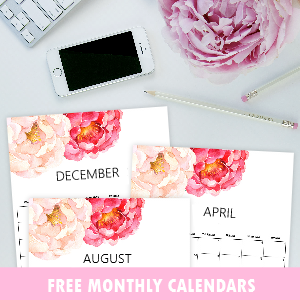 Are there friends here who would love a monthly calendar that matches with this free daily planner? 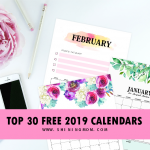 Let’s see if I get to 25 requests and I will update this post with your free calendars in PDF. Tell me at the Comments! Plan a great day ahead! Enjoy the planners and “see” you around! « Free Weekly Planner Templates: 15 Beautiful Designs! I have been looking at many planners this is the best!! Love it!! Thank you very much! Thanks, Adrina! I am glad you like it. Cheers! I just found your site and love the daily planners and would like to see a monthly set to go with it. I hope its not to lare. It’s never too late, Sherry! Please enjoy the planners!